 Firearms Training in Pueblo, Colorado varies from instructor to instructor, but with NRA instruction your firearms training class should be structured by the NRA and these classes should be very similar from one class to another. The NRA Firearms Training programs are the same in every state because they do not discuss the local laws and regulations. They teach firearms training from the same book and it is all structured so that you learn all the concepts that they teach. 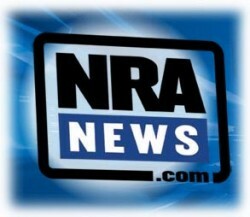 Most people will tell you that the experience they had with NRA programs of Firearms Training is great. 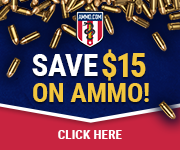 The structure and method of how the NRA puts on these firearms training programs is wonderful, and you won’t find a finer group of Certified Instructors to handle them for you. More Details: This course is at least 8-hours long and includes classroom and range time learning to shoot revolvers and semi-automatic pistols. Students learn NRA’s rules for safe gun handling; pistol parts and operation; ammunition; shooting fundamentals; range rules; shooting from the bench rest position, and two handed standing positions; cleaning the pistol, and continued opportunities for skill development. Students will receive the NRA Guide to the Basics of Pistol Shooting handbook, NRA Gun Safety Rules brochure, Winchester/NRA Marksmanship Qualification booklet, take a Basics of Pistol Shooting Student Examination, and course completion certificate. More Details: This is an eight-hour course. Students should expect to shoot approximately 100 rounds of ammunition. Students will learn basic defensive shooting skills, strategies for home safety and responding to a violent confrontation, firearms and the law, how to choose a handgun for self-defense, and continued opportunities for skill development. Students will receive the NRA Guide to the Basics of Personal Protection In The Home handbook, NRA Gun Safety Rules brochure, the Winchester/NRA Marksmanship Qualification booklet, and course completion certificate. NRA Basic Personal Protection In The Home course is for law-abiding adult citizens, as defined by applicable federal, state, or local law, and experienced shooters (shooters able to show mastery of the basic skills of safe gun handling, shooting a group, zeroing the firearm, and cleaning the firearm) to maximize what can be learned from this course. Proof of shooting experience can be one of the following: NRA Basic Pistol Course Certificate, NRA FIRST Steps Course Certificate, NRA pistol competitive shooting qualification card, military DD 214 with pistol qualification, or passing the Pre-Course Assessment. These Firearms Training classes are available at various times during the year. Let us know that you are interested in an NRA Firearms Training class and we will let you know when our next class time and date will be.